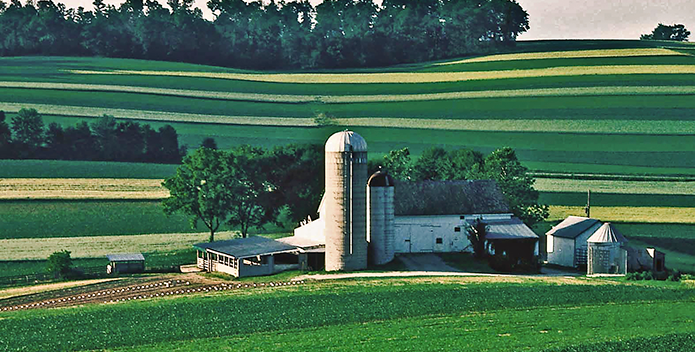 State and federal conservation programs provide critical funding and support to farmers who want to incorporate best management practices such as contour stripcropping (shown here), which keep valuable nutrients on farms and out of local streams and the Bay. In our current polarized and fractured political sphere, it is extremely rare for a clear majority to agree on something. But across the Chesapeake Bay watershed, a diverse coalition is finding common ground on one topic–clean water. Watch any sporting event long enough and eventually you’ll see an invisible but palpable force seize control of the game. Magic happens when fresh and salt water collide. Life explodes in estuaries, as they are some of the most productive ecosystems in the world. We witness this every day in the Chesapeake Bay, North America’s largest estuary. State and local elected and conservation officials converged on Toad Hollow Road in Susquehanna County bearing congratulations and keen interest in seeing the Bennett Farm for themselves. It's no coincidence that what's good for water quality is often good for public health. And in Baltimore, one facility stands in the way of both. Investments from the National Fish and Wildlife Foundation and matching contributions offer key support for York County’s efforts to reduce polluted runoff and manage stormwater. In what's becoming an annual tradition, a motley crew of brave (or crazy?) CBF staffers plunged into the frigid waters of the Chesapeake Bay for the third consecutive year as a thank you to the hundreds of generous CBF members who gave on Giving Tuesday. As promised, the Trump administration has acted to repeal the Clean Power Plan, the Obama era rule aimed at reducing carbon emissions. CBF to PA DEP: "Add the Susquehanna River to Impaired Waters List"